Alexandra Herzan is a licensed clinical social worker who worked for many years with homebound elderly in the Bronx and Manhattan. Since 1997, she has been president of the Lily Auchincloss Foundation, Inc., a family foundation that funds programs in New York City. She also serves on the boards of the van Ameringen Foundation, the Robert Rauschenberg Foundation, Fountain House, Transportation Alternatives, Playwrights Realm and the Empire Dragon Boat Team. 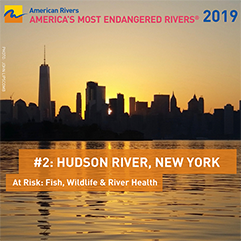 Alex found her passion for water quality issues while paddling a dragon boat in Flushing Bay and helped to found the Guardians of Flushing Bay with significant assistance from Riverkeeper.